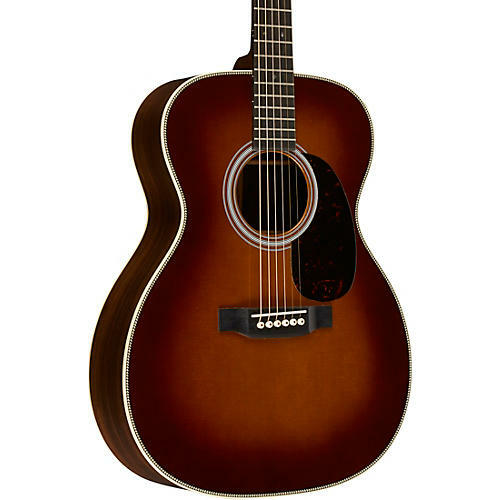 The 000-28 Standard Auditorium Acoustic Guitar is a great example of the quality craftsmanship that Martin is famous for creating over their 185-year history. 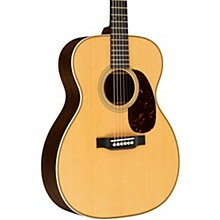 Prized for its combination of the finest tonewoods and construction techniques, the 000-28 Standard Auditorium Acoustic Guitar has all the tone and sustain that you have come to expect from a Martin guitar. The smaller auditorium body is well-balanced, while being versatile enough to cover just about any musical style. 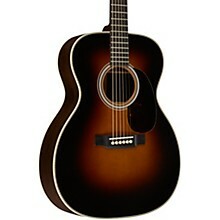 The hand-fit dovetail neck joint delivers a resonant tone with lots of sustain. A Sitka spruce top, with scalloped X-bracing, tunes the sound of the guitar to have just the right amount of bass, mids, and treble. 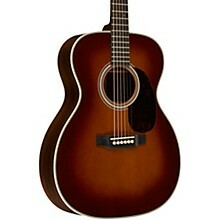 The 000-28 Standard Auditorium Acoustic Guitar has been upgraded to include a modified low-oval neck with Performing Artist neck taper and 1-3/4” nut. In final assembly, the instrument receives a computerized PLEK setup to dial-in the action for the best possible string performance for each instrument. The result is an instrument with the optimal sound and feel. You won’t want to put this one down.